Winter has a way of bringing a bit of gloominess to our homes, especially if we live in an area where clouds shield us from the sun for days and days and the weather seems to be assaulting us from all angles. Here in Florida, you may be surprised to learn that it’s not always 80 degrees and sunny! During winter months we get our share of chilly temps, overcast days and biting winds, but at least we can still go to the beach armed with a scarf and a hat, without fear of snow or freezing rain pelting us. But there’s a little bit of sunshine we can all find, be in here in Florida, or a frigid town in Wisconsin. It’s something we have easy access to this time of year, is prevalent at supermarkets and farmers markets, OR by way of a neighbor or co-worker who gives us bags of it because he/she simply can’t keep up with the volume before backyard squirrels eat it. So what IS this amazing thing? 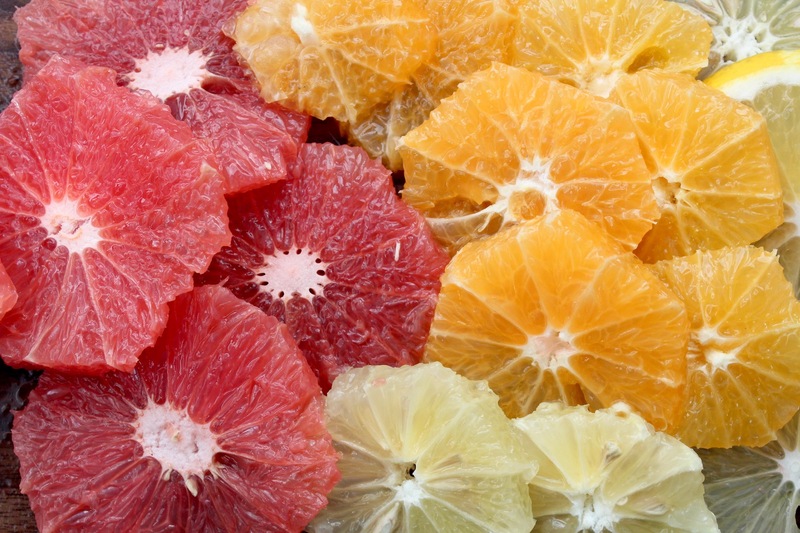 Citrus! Yup, it’s the time of year when oranges, grapefruits, lemons and limes are bursting at the seams of trees, ready to provide us with much-needed vitamin C to ward off colds. 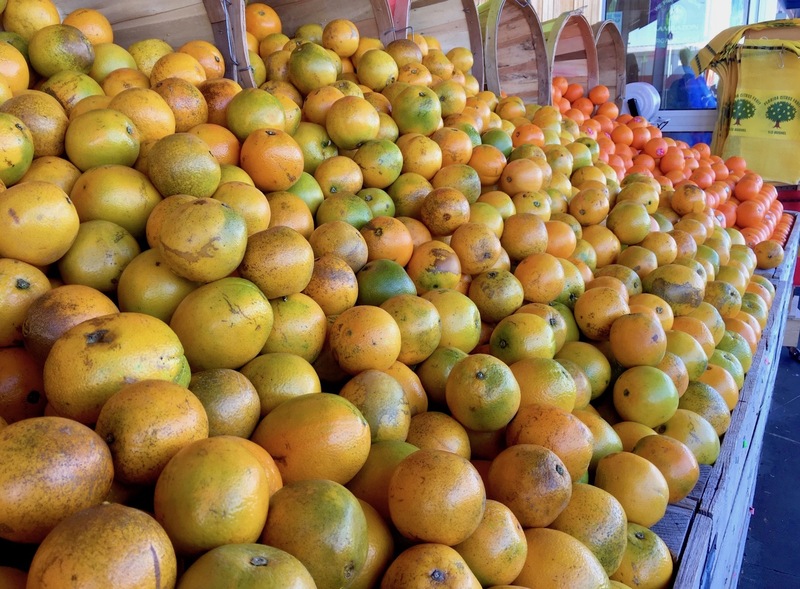 You may have even gotten a box of juicy gems during the holidays because, for decades, folks in Florida (and California) have shared their citrus bounty with those not fortunate enough to live in a balmy climate. I love this time of year because every time I walk into a produce market, I see folks scrambling to fill their mesh citrus bags with orbs of sunshine. There’s inevitably a tasting area so we can test several varieties and decide which is the sweetest, and we might even be lucky enough to get a sample cup of juice. The stacks are full of fruit, just primed to tumble to the ground if you pull the wrong one, but that’s just part of the fun. 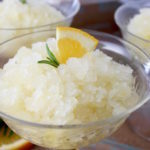 But maybe you’ve had your fill of freshly squeezed juice, are tired of those grapefruit segments in the morning, and are simply looking for different ways of incorporating citrus into your diet? 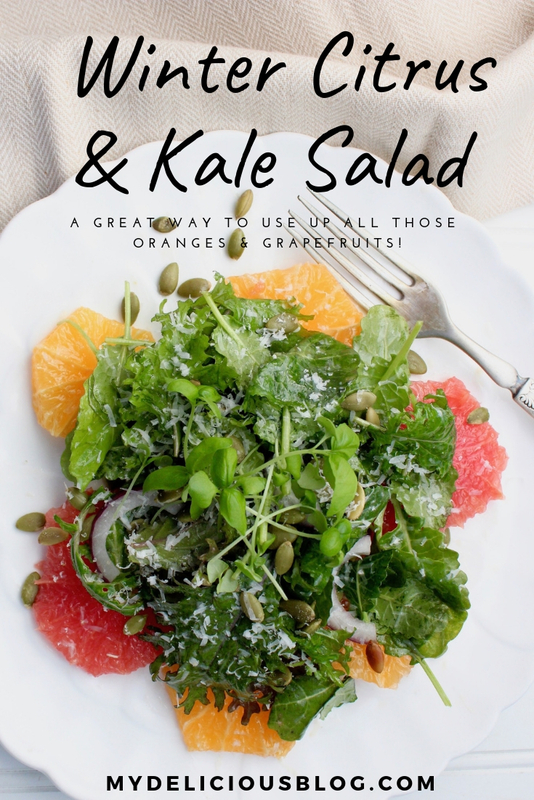 It’s a mix of Sugarbell oranges, Navel oranges, Ruby Red grapefruit, baby kale and other baby greens, crunchy pepitas, a few red onion slices, fresh basil, and parmesan, all mixed in a light dressing made with citrus juice and honey. (Note: if you’re not a fan of grapefruit, which can sometimes be bitter, just use all oranges). 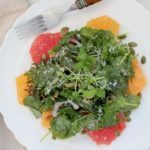 It makes a great lunch salad, or you could even boost it with some protein like grilled chicken, seared fish or some black beans. 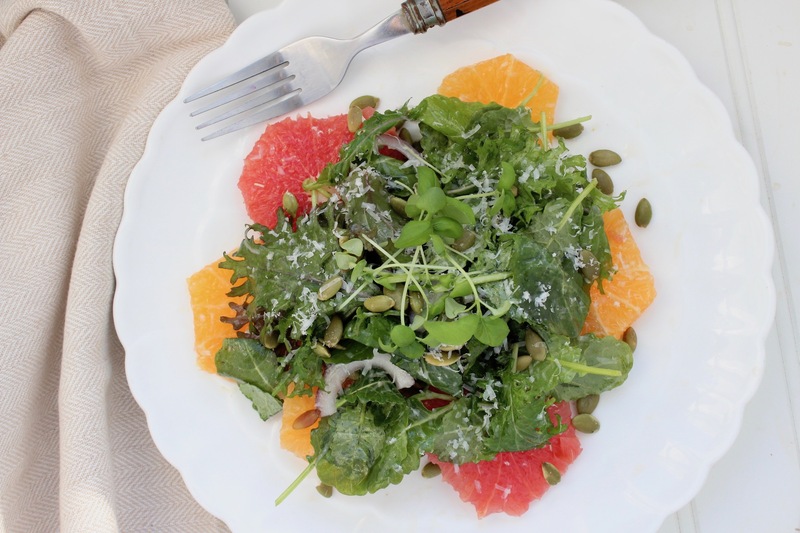 A fresh and healthy salad made with oranges and grapefruit slices, all mixed in a light citrus dressing. Combine all ingredients for dressing in a small bowl or lidded jar; whisk (or shake) to combine, then set aside until ready to use. Remove the ends of each orange/grapefruit, then place on a cutting board, flat side down. Using a sharp knife, slice downward on each orange/grapefruit to remove the peels until all the white pith parts are gone. 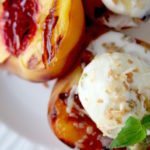 Slice the fruit and remove ALL seeds before placing the slices in a mixing bowl. To the mixing bowl, add greens, basil leaves, onion (if using) and some dressing (to taste). Toss lightly then transfer to serving plates/bowls. 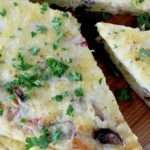 Sprinkle with pepitas and freshly grated cheese, and serve! Previous Post: « It’s a New Year! Thank you for another new healthy salad idea. I’ll pick some of our citrus and make a salad! This is a great way to use up some of that beautiful citrus in your garden! 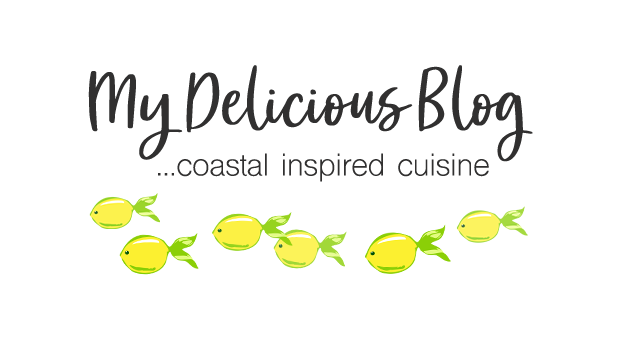 Always looking for new ways to eat and serve citrus. This salad is just beautiful. Love the dressing also. I am so excited for all the Florida citrus this year! I’ve got a giant basket filled with all kinds on my counter right now. I’ll make this salad for sure.